With the BMW F90 M5 stealing the show everywhere these days, it’s easy to forget that when the new 5 Series came out everyone was raving about a different car. 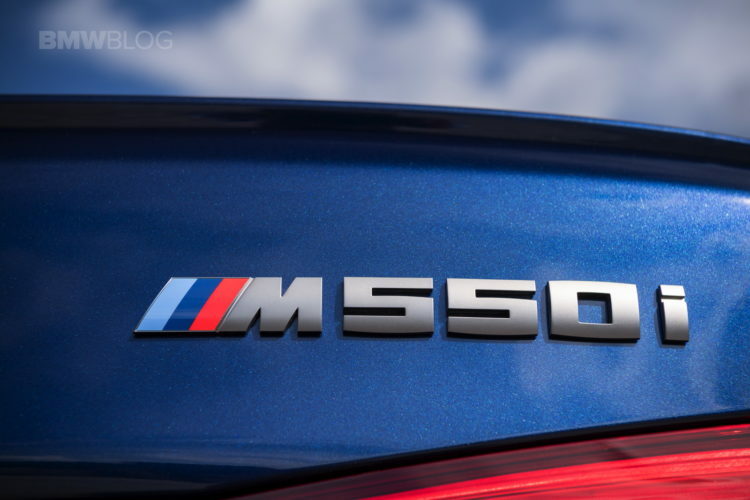 The BMW M550i xDrive caught everyone’s attention when it was unveiled, simply because it was a lot faster than the previous F10 M5 in a straight line, from a standstill. The M550i xDrive would do the benchmark 0-62 mph sprint in 4 seconds flat, almost half a second faster than the RWD M5. Of course, most of that was possible due to the xDrive system, allowing the 4.4-liter twin-turbo V8 under the hood to put the power down more efficiently. Speaking of the engine, it was also upgraded compared to the 550i predecessor of the M550i, now coming with 462 PS and 650 Nm (479 lb-ft) of torque. Those numbers are not huge by comparison but they do make a difference when the chips are down. In the video below we get to see the M550i take on a rival from Japan, the Lexus GS F. The Japanese sedan follows a different philosophy, sticking with a naturally aspirated engine in a heavily turbocharged world. Under the hood of the GS hides a 5-liter V8 capable of putting out 477 PS and 530 Nm (391 lb-ft). As you can already tell, even though it has a bigger engine, the Lexus falls behind when it comes to torque. The figures on paper also claim it’s a full half second slower than the M550i xDrive but the video shows a different story. While you’d expect the difference between them to be quite significant, they are really close in a straight line. The BMW seems to win the 0-62 mph sprint but in the triple-digit speed range the Lexus seems to have the upper hand, somehow. Next post Build your own BMW X7 on today!